People of Conscience, People of Heart, People who care for humanity are deeply disturbed and concerned. They are concerned over the world's financial system which are made to collapse through excessive greed, through legalizing illegal usury, corruption and attitude of gambling. The shock waves have been felt across the world for sometime. The life of hard working, honest people are getting increasing difficult. Poor across the globe are facing tremendous price hike and shortage of food. Famine is looming over many poor nations in Africa. The gap between rich and poor are all time high, not only in developed nations, but also in developing and less developed countries. If you are following the world events, what is going on in many Western Countries, not excluding United States as well as in Europe, from Greece, to Italy to Spain to Britain, you can not help but see that there are tremendous financial corruption in the name of globalization and corporatization that is forming big tsunami to collapse financial stability of a number of countries around the world. This will generate (some signs are already visible in many countries) among others suffering of the poor (which mostly goes by untold and unheard), denial of rights of senior citizens, denying of human rights, forcing people to jobless and homeless status, pushing people under the poverty line. Looking at the degradation of human dignity while we have plenty on the earth for everyone - one can not help but realize that every other priorities become lesser in the face of such inequalities, corruption and injustice. The priority of this time, when it comes to spiritual discourse can not be anything higher than speaking out against such injustices, be it financial, political, social or otherwise because all of them are interconnected. The deep rooted values within religion and spirituality needs revisiting and need to be told in amplified fashion. And such timeless values include justice, equality, human rights and accountability both to the people and to God. As people are encouraged to become atheist or agnostic through the corruption of religious values, people are forgetting some very basic principles such as Grand Accountability and Justice. As a result those who are in power are no longer inclined to be accountable to their sub-ordinate, they try to find every excuse to bend the laws to avoid accountability at any cost, will commit the highest degree of injustice, even if that means to throw people out of their home through illegal schemes. Under such scenario, our spiritual discourse, contemplation and activism must turn to restoring the truth of God, which in return restores the truth of the reality of Grand Accountability, the truth of Justice and Human Rights. If these matters are forgotten and made less priority then we will soon end up bankrupt not only financially but in what it means to be human. Justice is one of the most important value but sadly something which is in short supply in our time. In our political, social, financial and ever other system this is very much apparent. Is the yet to be born human being getting justice? He is denied justice by committing crime in the name of abortion. The abortion rate is maddeningly high in our time. So commitment of injustice is happening even before a new comer entering the world. There are political injustices and covering up of truth are being committed in the way democracy is hijacked in countries like United States where the candidates are bought by major corporations who sponsor the election, campaigns and in return it is their interest which is served instead of the very people who elect. Thus election is a grand mockery. Corrupt and evil corporations can buy the system with campaign contributions as they are doing now. The more money one candidate is backed with, the more coverage he or she gets and where does that funneling of money comes from? From big, greedy, corrupt corporations. Thus there is great injustice in the so called democratic system. The western democracy as it is, is not the best political system either. Democratic majorities can be constantly swayed like the wind. The corrupt in power love democracies because they can be so easily manipulated to do their will, but maintain the illusion of freedom. The point is that the most important spiritual discourse of our time has to be contemporary issues of burning value of our time so that man may again become witness to the truth of God, not to the deception of the material worship. Christianity reminds, "The love of money is a root of all kinds of evil. Some people, eager for money, have wandered from the faith and pierced themselves with many griefs." (Timothy 6:10). The Prophet of Islam reminded, "Love of the world is the root of all evil." If this root ailment is treated and cured, all other maladies flowing from it will also disappear. A man overwhelmed by Hubb-e-dunya (Love of the transitory world and all its deceptions) has no concern and time for the eternal life, Aakhirah. Such a person having no care for the Aakhirah will not be bothered about righteous deeds nor will he abstain from evil. The one in whom there is Hubb-e-dunya has very little Fikr for the Deen. Increase in the degree of Hubb-e-dunya brings about a corresponding decrease in Fikr (concern) for the Deen. Total Hubb-e-dunya entails total lack of Fikr for the Deen. This is manifest in the Kuffaar, covering up and denial of truth. Dunya does not mean wealth and family. Dunya is the intentional and voluntary adoption of anything evil which causes one to become forgetful of Allah Ta'ala (God the Most High) irrespective of what that thing may be. Thus, acquisition of wealth and other material means is not evil, but Hubb-e-dunya (blind craving for such material objects) is evil. Wealth is like the water in the ocean and the heart of man is like the ship sailing in the ocean. Water, while it facilitates the movement of the ship can also bring about its sinking. As long as the water remains outside the ship, it aids its sailing. But entry of the water into the ship causes it to sink. Similar is the case of wealth. Wealth aids man as long as it remains outside his heart. However, of its love enters the heart it will bring about his destruction. each other; rectitude; equity; uprightness. punishment; that which is due to one's conduct or motives. or do wrong or have wrong done to me." 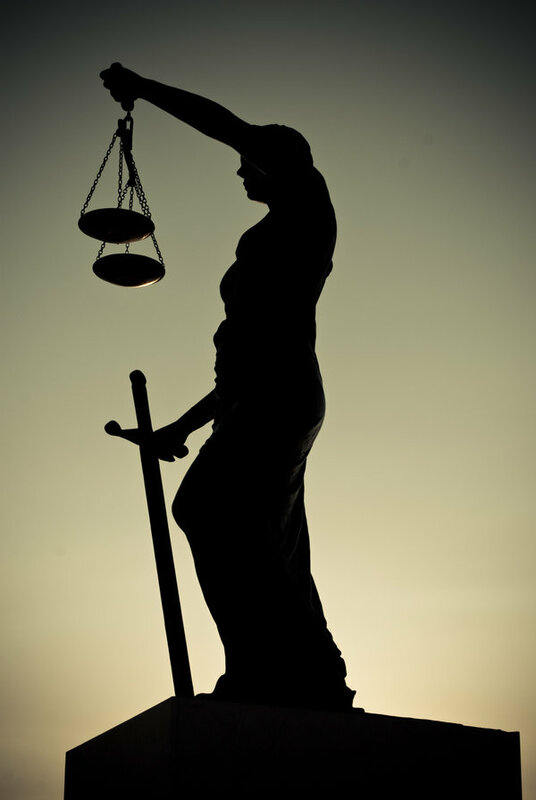 Justice has many meanings; these include righteousness, fairness, equity, standards or law, etc. It is very important in the life of a person and a nation to avoid chaos and the spread of evil. Any individual or nation that does not practice justice is ruined. It is so important that Allah, the Exalted, relates it closely with piety. "Any man whom Allah has given the authority of ruling some people and he does not look after them in an honest manner, will never have even the smell of Paradise."(Al-Bukhari). Modern Muslim scholar Charles Le Gai Eaton wrote a beautiful peace called "The Concept of Justice in Islam" which sheds light on the concept of Justice from Islamic perspective and why without Justice, there can be no Peace. Its a good read and you may read it here.